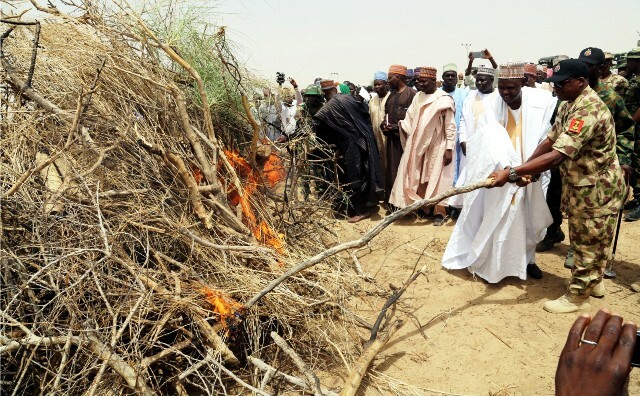 Representative of the Chief of Army Staff and Chief of Training and Operations, Nigerian Army headquarters, Maj.-Gen. David Ahmadu right setting fire to the bush to inaugurate 2018 bush clearing and farming in Gudumbali community in Borno State, recently. With him are officials of Guzamala Local Government Area. The Rivers State Chapter of the National Butchers Association says it is partnering with the state Ministry of Agriculture to rid the state’s abattoirs of unwholesome butchering and sale of meat. The state chapter chairman, Alhaji Musa Baba Ahmad gave the assurance in a chat with The Tide in Port Harcourt, last Monday. Ahmad, who expressed dissatisfaction over series of reports concerning the unwholesome activities and illegal acts of some abattoirs in the state said the union has already constituted a taskforce in partnering with the state Ministry of Agriculture to arrest and prosecute any member found wanting in the smuggling of meat without inspection by both the Ministries of Agriculture and Health in the state. “We cannot fold our hands and allow some bad eggs in the system to destroy our abattoirs business in the state. “We have received series of reports concerning the smuggling of uninspected meats and illegal abattoir homes in the state. 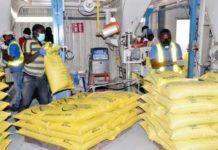 “The union has already constituted taskforce persons to work with the state Ministries of Agriculture and Health to rid the state of unwholesome activities of some claiming to be members of the union in the state,” Ahmad said. 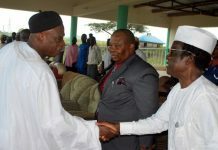 He commended the State Government for its commitment to ensure the reform of abattoirs in the state. The abattoir chairman used the opportunity to appeal to the State Government to support the union in building an ultra-modern market and secretariat in the state. According to him, abattoirs in the state contributed over 30 per cent of internally generated revenue to develop the state, stressing the need to give the sector a face-lift in the state.